Made using 80 purple and white dendrobium orchids with folded green ti-leaf accents. 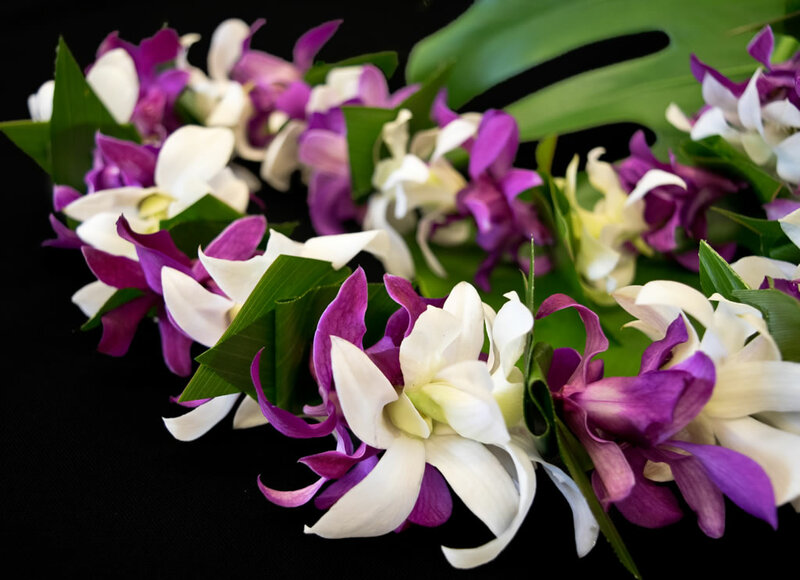 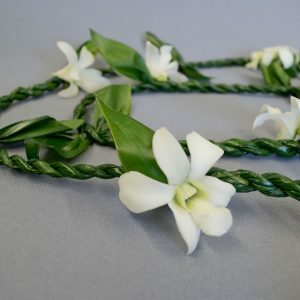 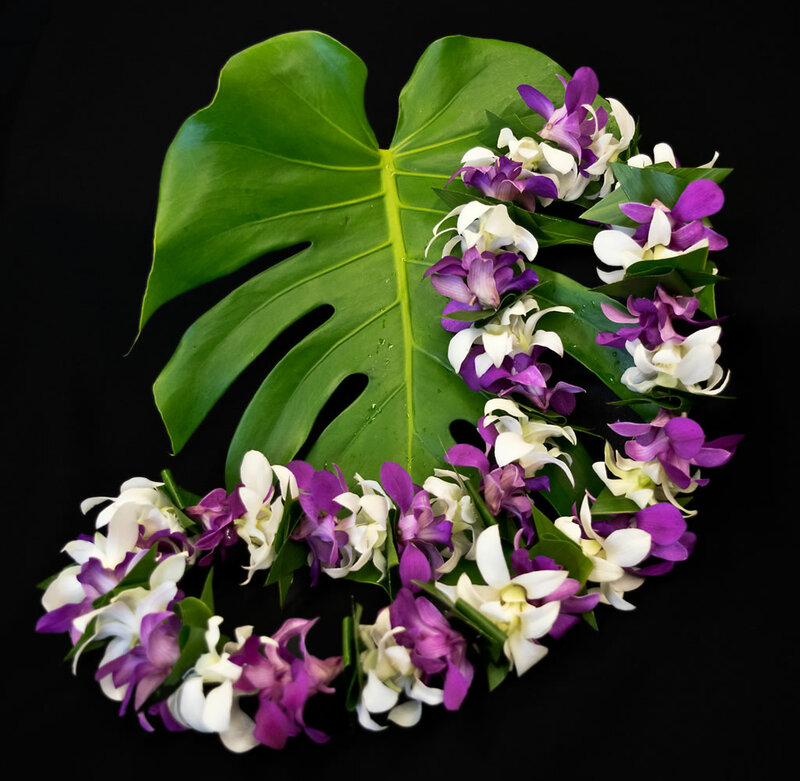 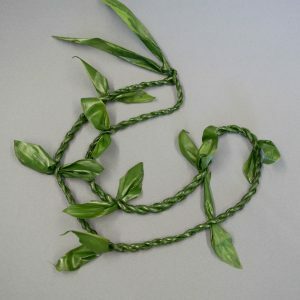 Another variation of the popular single orchid lei, this is a fancy lei without the fancy price. 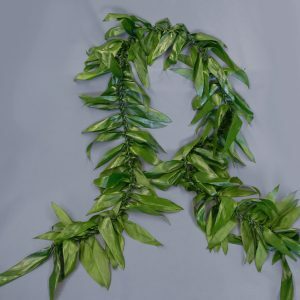 Often used for men.